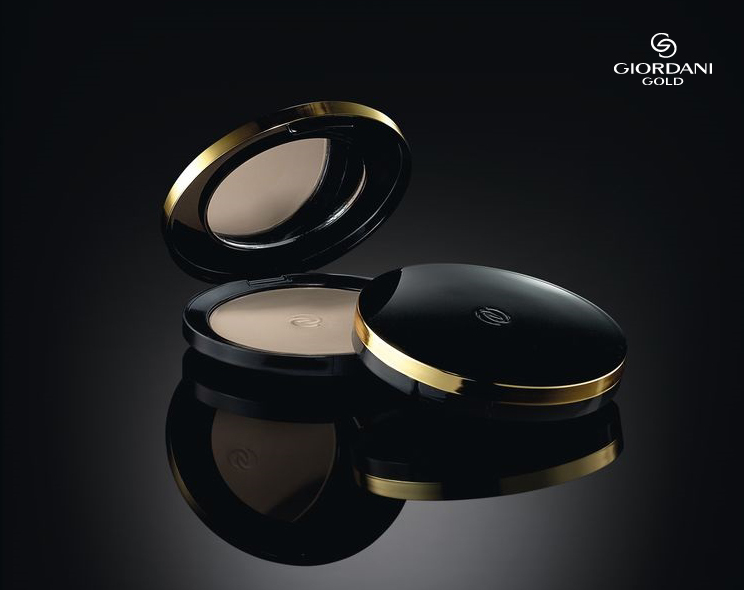 Enjoy perfect skin with Oriflame’s Sheer Giordani Gold Compact Powder. A light and delicate compact powder with a luminous finish and lasting effect. Blended with 90% minerals and antioxidants, to leave your skin with a stylish and perfect touch. Ideal for women looking for a flawless look with a soft sheen. Luxurious powder, very nutritious and protective. The minerals are a radiant complexion to your skin and correct the imperfections. With SPF 15, it guarantees the protection of your skin. The make-up Giordani Gold Oriflame is an easy elegance, a life filled with beauty and pleasure. Iconic products with a level of quality and luxury at affordable prices! Compact Powder enriched with minerals to create a radiant shine. Natural to medium coverage. Contains SPF 15. 9 g.